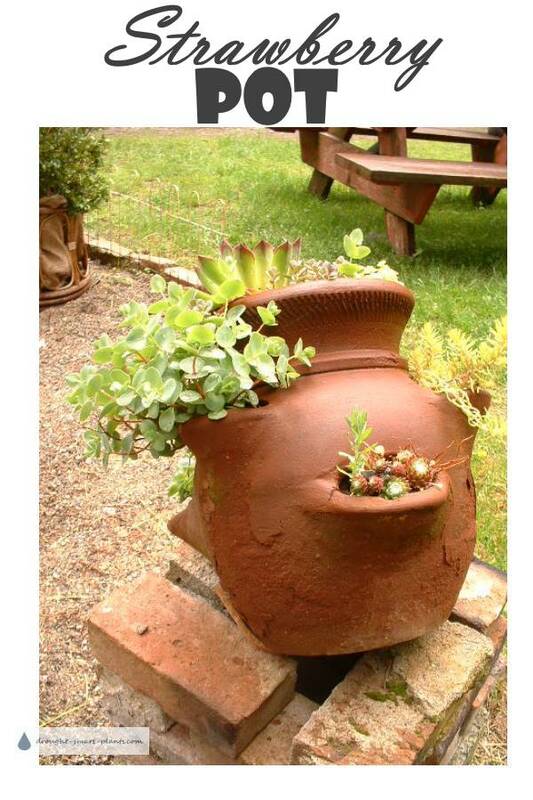 The old Mexican strawberry pot has seen better days – the type of clay it’s made out of is definitely not meant to withstand freezing. It's been left out in the weather, and the clay is chipping and peeling, but that only adds to its appeal. 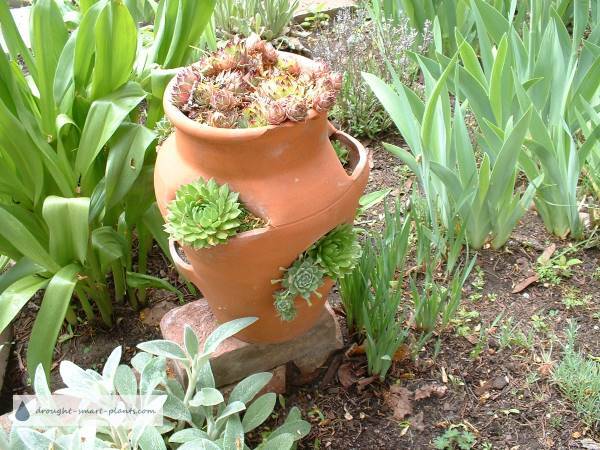 Many terracotta clay pots are fragile and short lived - they'll last a long time, with the right care. 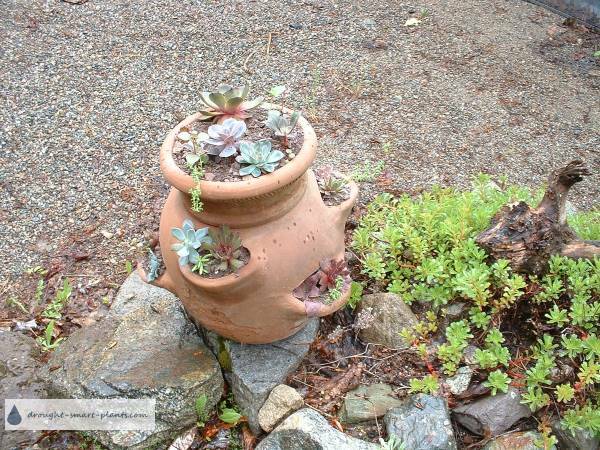 Each year, I plant it again with different types of succulent plants, and each time it takes on a new life. In some reincarnations it’s filled with various beautiful Sempervivum and Echeveria – sometimes it’s hard to see the difference between them until they bloom, but they blend and grow together happily, even though they originated on different continents. I've also planted small varieties and species of Aloe with their spikey foliage which looks very tropical. The Sempervivum evolved in the mountains of Europe, some from the Balkans, others in the Caucasus Mountains. 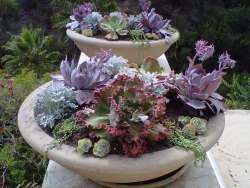 Echeveria and Aloe originate in Mexico and other warm places, thriving in poor soil and rocky places similar to the Sempervivum but with more heat. The many forms and textures of all the different desert plants combine flawlessly. As they're all xerophytes they require the same conditions - well drained soil the most essential. 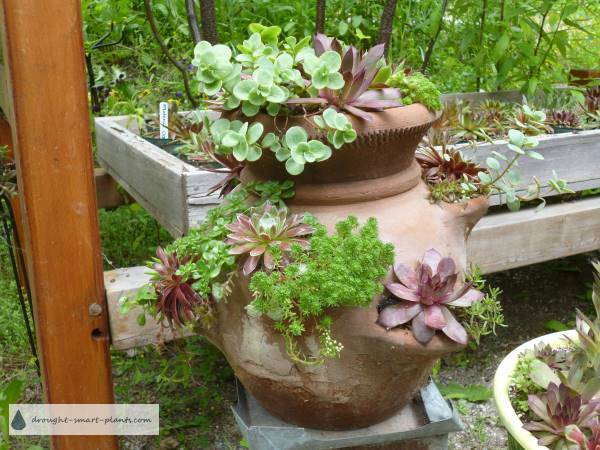 Planted together in a strawberry pot, with a few Sedum trailing down the sides, all the succulents look marvelous. 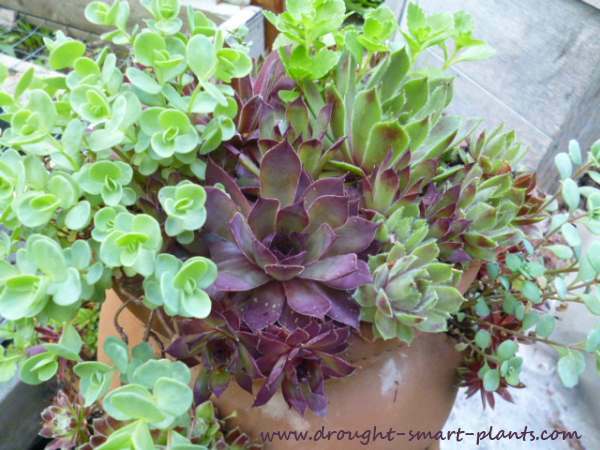 2013 is the year of the hardy succulents around here, so lots of those tough and resilient plants, Sedum and Sempervivum. They all fill the same niche, yet are not competitive with each other; they all play well with others. This year, I've used one of my old favorites, Sedum cyaneum 'Rose Carpet' as well as a new species (for me) that has stolen my heart, Sedum lydium. Mixed an mingled with them are many NOID Sempervivum (no identification). I find that there are so many that lose their labels, but they are equally as beautiful as the ones with names. Tender succulents take a while to fill out, but then once the nights are warm enough, they start to thrive and glow with health. 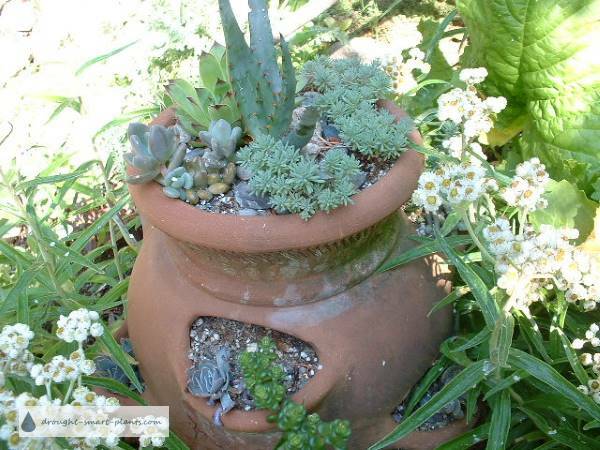 Aloe for height and a vertical accent, some tiny Sempervivum and many other plants that thrive in a group are quite happy in the old strawberry pot. Sedum take center stage in this planting - it's hard to believe that this strawberry pot continues to look so great, year after year. You have to work hard to find combinations that don't look great together. This old strawberry pot will continue to be reincarnated every year until it falls apart into dust, and then I’ll leave it in the xeric garden to be broken down for drainage material. 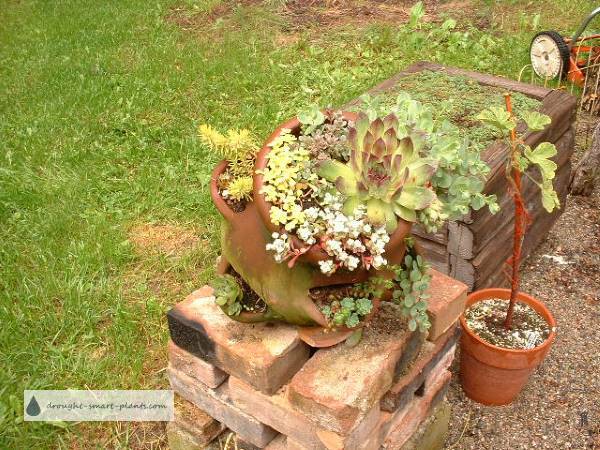 Every year gives me one more opportunity to use the succulent plants I love in a new and interesting way. A strawberry pot with a slimmer profile, with equally lovely plantings provides a great focal point in a bed of Iris and Daylilies.